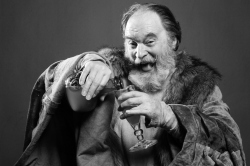 Audiences have loved Sir John Falstaff since Shakespeare first put him on stage, four centuries ago, in Henry IV, Parts 1 and 2. Indeed, the character was so popular that the playwright brought him back for a comic romp in The Merry Wives of Windsor. 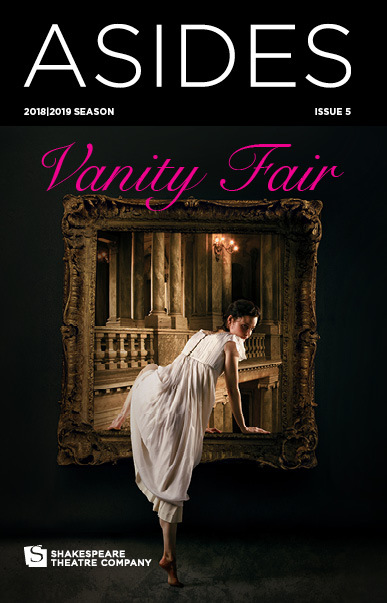 Audiences at the Shakespeare Theatre Company have been no less enthusiastic, enjoying a series of Falstaffs, each uniquely portrayed. 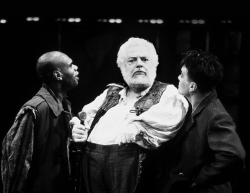 Under Michael Kahn’s direction, Pat Carroll turned the Falstaff of Merry Wives (1990) into a cross-dressing triumph, with Oscar nominee Paul Winfield taking over in the Free For All production that summer. 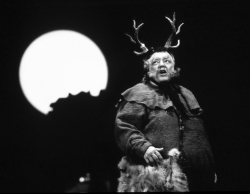 Company member Ted van Griethuysen played Falstaff in Henry IV, Parts 1 and 2 (2004), as did David Sabin, who played it in Kahn’s acclaimed single-evening adaptation (1994), as well as in Merry Wives (1998). 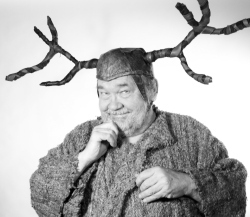 Director Stephen Rayne’s current production offers a new Falstaff, but another familiar face. David Schramm is known to TV audiences for his long run in Wings, and he studied the classics at The Juilliard School under Kahn’s tutelage. Sabin, who can speak from the perspective of both plays, goes even further, identifying Henry IV as a forerunner to the psychological complexity of Chekhov. He finds particular power in the moment when Prince Hal chooses royal duty over personal affection, casting his beloved Falstaff aside. Norman Allen’s work has been commissioned and produced by the Shakespeare Theatre Company, the Kennedy Center, the Karlin Music Theatre in Prague and the Olney Theatre Center. As former playwright-in-residence at Signature Theatre he premiered Nijinsky’s Last Dance (Helen Hayes Award, Outstanding Play) and In the Garden (Charles MacArthur Award) with subsequent productions throughout the United States, Europe and South Africa. He has written on the arts and culture for WAMU-FM, The Washington Post, Smithsonian magazine and other national publications. His work for the theatre is published by Playscripts, Inc.